The tool of the week is Wiggio (working in groups), a free intuitive, easy to use, with lots of features for interaction and collaboration, which can be accessed any time and anywhere. 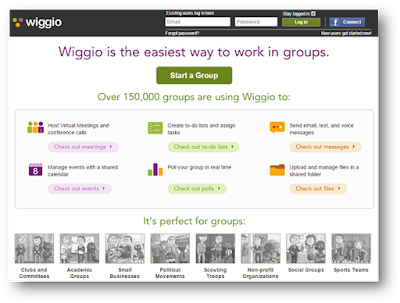 Wiggio offers a useful range of features including group text messaging, group calendar and to-do list, assigning tasks, online poll taker, area for uploading and sharing documents, virtual video and audio conferences and chat rooms that any group can utilise to plan projects or organise events. Communication – making announcements are effective as you can contact group members or individuals via video, audio, chat or text messages. The way communications take place between users is that feed is created for the post so users can reply and view conversations. 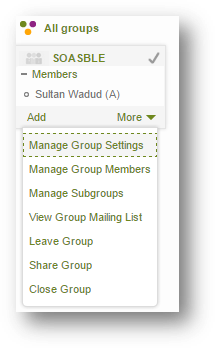 Calendar sharing - groups can schedule together to arrange events, meetings. An automated email or text message reminder can be setup to be sent to all group members. 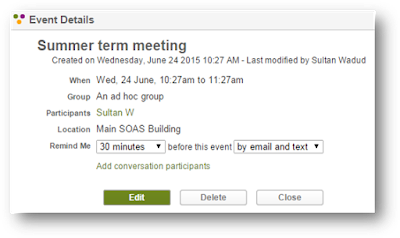 Another feature of the group calendar is that it can also sync with other calendar programs such as Google Calendar. Document management – documents can be organised through folders to allow users to upload, share, edit and download files. To-do-lists – once these have been created they can be assignment to either the whole group or individuals within the group. Users can set due dates of when certain tasks need to be completed by which can be can be monitored through the to-do list thread. 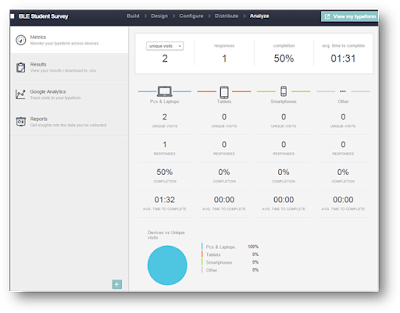 Real time polling – this feature can be used to make quick group decisions based on a consensus. Poll invitations are sent to group members and as the responses are made the results can be displayed or hidden to the group. 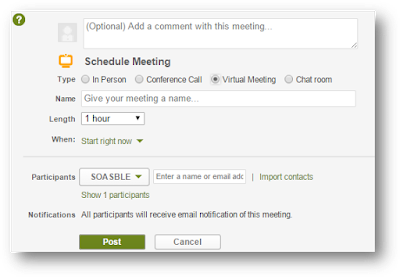 Virtual meetings and conference calls - as Wiggio is a web-based tool so no software installation need to take place on the user’s machines to host or participate in an online meeting or conference call. Wiggio offers an online whiteboard that users can utilise to share presentations, documents or to simply brainstorm. If you are not sure if you want to sign up to Wiggio then you can take the tool for test drive’ to get a feel for how the tool works and if it is suitable to meet your needs. Start by navigating to https://wiggio.com. There are two ways to create an account either by completing the signup form or connecting with your Facebook account. Calendar – displays your calendar where you can see any important dates such meetings, events or deadlines. 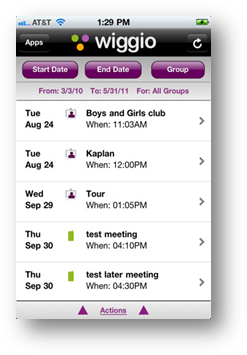 Wiggio offers all your groups and their associated resources and activities such as documents, calendar, chats and group feed to be accessed in a single location. 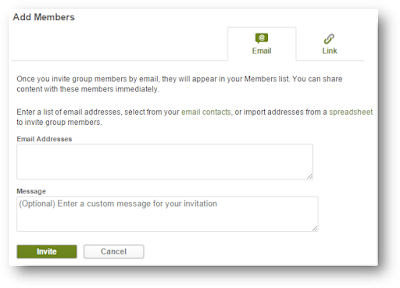 Creating groups can either be done manually by inviting members using their e-mail addresses, invitations via Facebook or they can be imported from various email services such as Gmail, Yahoo and Outlook or you could import via a spreadsheet document. 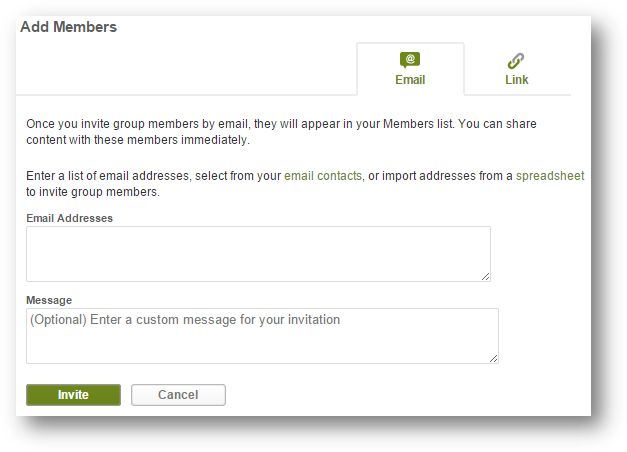 Click on more to see additional options for the newly created group otherwise click on the Add link to add members to your group. Alternatively you can click the Link tab to obtain the web link which you can then share with anyone and when they click the link they will be taken straight to your group. 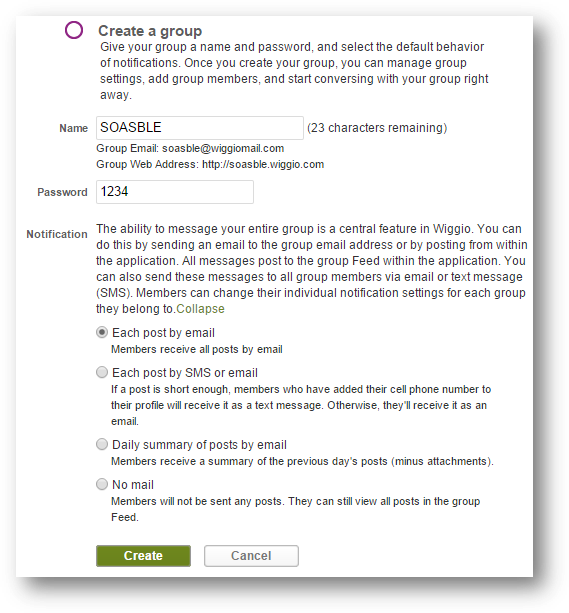 Please note that Wiggio groups are private therefore to join a group users have to have received an email invitation or the direct link to the group from a group member or enter the group name and password. 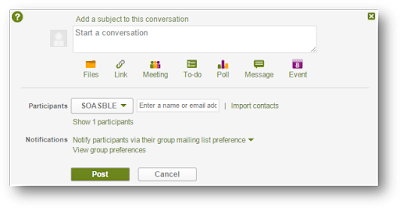 When making a post you can specify who you want the ‘conversation’ to be targeted to this can be to a group, a particular individual within your group or a specific email. 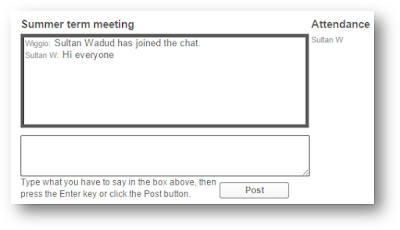 Virtual Meeting – allows you to share your screen, presentation or a document. Utilise the whiteboard to discuss ideas and concept. Communicate with participants via video, audio or chat. Chat room – all conversations that take place in the chat are saved and can be revisited at a later date therefore making it easy to remind yourself who said what. To schedule participate in one of the four meetings, group members will need to be sent an invitation via email or if they are part of the group when they sign in an alert to the scheduled meeting or call is displayed in notifications area along the top right dashboard. 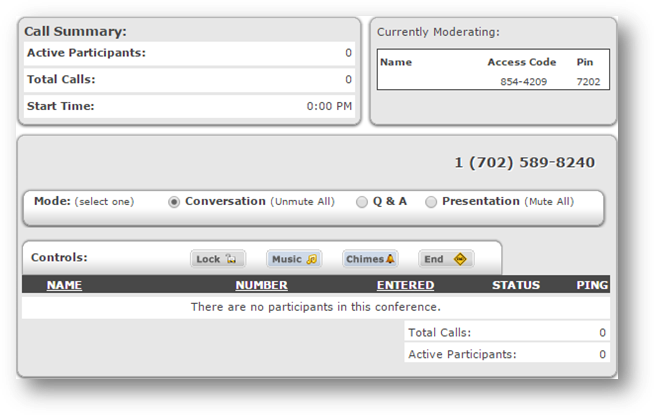 If a member of the group does not have access to a computer during the time of the meeting they can still participate by calling into the meeting using the phone number provided by Wiggio. 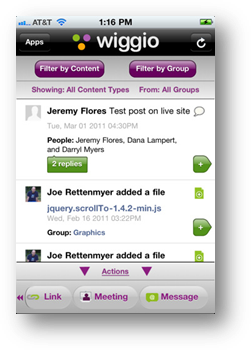 Wiggio currently provides an iPhone version of the service with the majority of the tools from the web version available on the mobile app including the ability to create groups, schedule meetings and conduct polls, and send messages. The only downside is that you cannot participate in video chats using the mobile app. 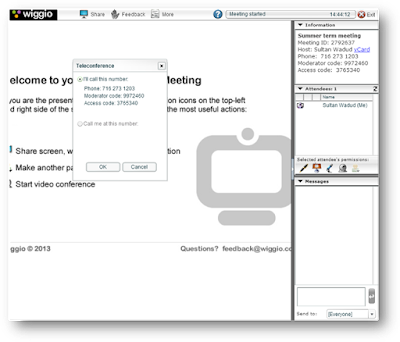 Wiggio provides an excellent tool for free that both educators and students can utilise to facilitate group collaboration by offering features such as virtual videos, audio conferences, emails, text messages and chat-rooms. 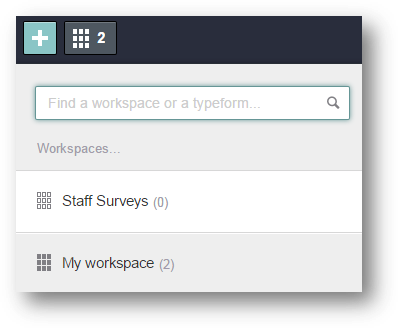 The interface is simple and easy to use for group members to plan projects, organise events with calendar, share documents, and create to-do list and online polls. Why not give Wiggio test drive a go and see how it may help you to manage group work through sharing and easy collaboration. The Pro version is available for $25 per month, which offers payment fields, a calculator feature for scoring and pricing, options to send respondents follow-up emails and more. 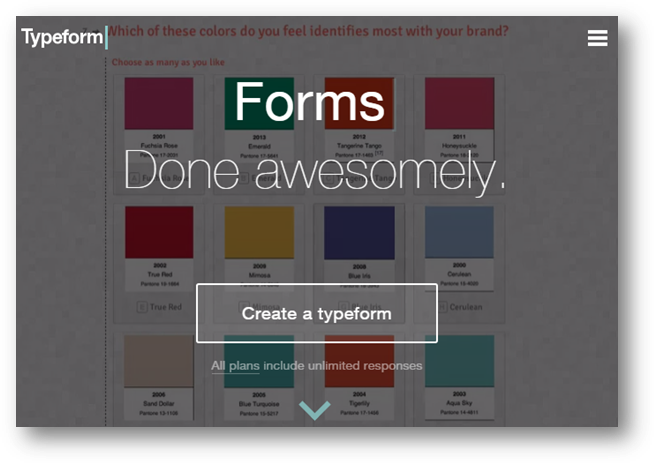 Start by navigating to http://www.typeform.com/ and click on the Create a typeform button. This will then take you to the account creation screen where you will need to enter your details plus a password. 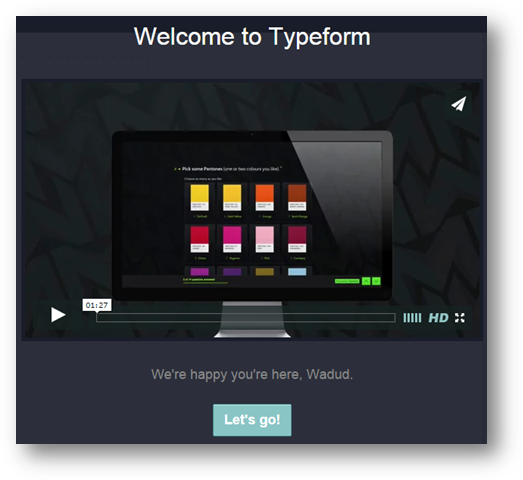 You are then presented with a welcome video which provides more information about Typeform and what you can be used it for. 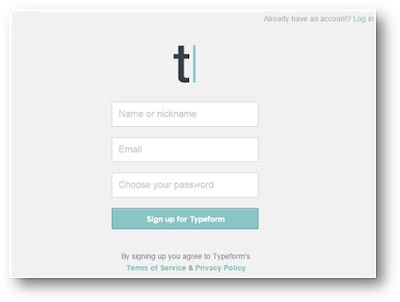 From the landing page click on the Create a new typeform. 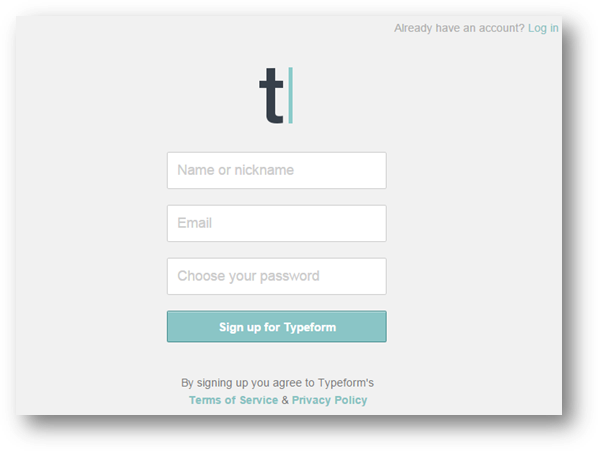 Give your typeform a name and then click the Build it now button. 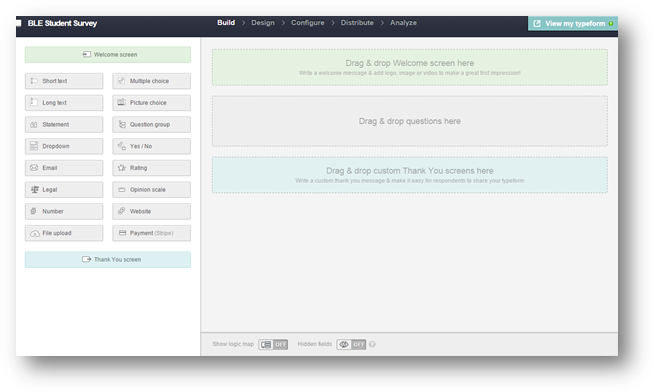 You are then taken to the form creator screen where you are provided with a list of elements on the left hand side you can add to your form by using drag-and-drop to the appropriate section in your form design (on the right). 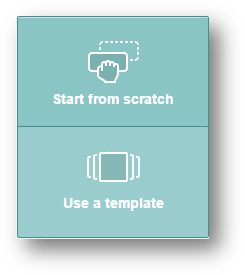 As with most forms it is advisable that you create a welcome screen for your form, which can include an image, video, a text description or a combination of them all as well as a customisable button to start completing the form. In addition to the welcome screen you can add a thank you screen (premium feature) to confirm that the form has been received and to thank the person for their participation as we well as offering the option to share the form. Drag and drop the Welcome Screen button on the left hand side to the dotted area title Drag & drop Welcome screen here or simply click the button to start editing the Welcome screen. From the Welcome screen editor select whether you would like to insert an image or video by changing the toggle to on and then clicking on the upload button to select your media. 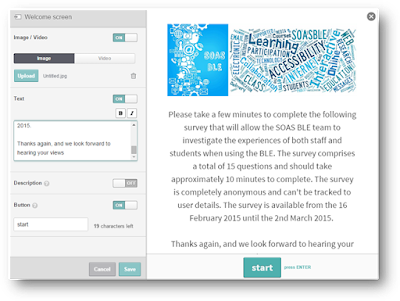 Change the toggle for text or description to add some information and instructions for your form, for example when the survey can be completed. Finally select if you wish to have a start button (can be changed to anything else) on your Welcome screen. As you add text and content to your welcome screen you will see a preview you almost instantly on the right hand side. Remember to click on the Save button to store your Welcome screen details. Next you will need to add some questions to your form by either by dragging and dropping the type of question into the Drag & drop questions here section or simply click on the question type. Click the green plus sign to add more options to your question. Required - make the question compulsory for the participant to complete. Multiple selections - allow more than one answer to be selected. Randomize – this option will be rearrange the order of the choices. Force vertical alignment – select if you wish to display options in vertical format or horizontal (default) format. Add “Other” option – allows the participant to add their own answer. Once you have added all your questions to see a preview of your form click the View my typeform in the top right hand side. Select Design from along where you will find a number of themes that you can apply to your form (only one theme can be applied throughout the form). In addition to this you can also add a background image or amendment your form's colours from the available palettes or you can simply select your own background and text colour selections. Once you have made your selections click on the Apply to typeform to save your changes. 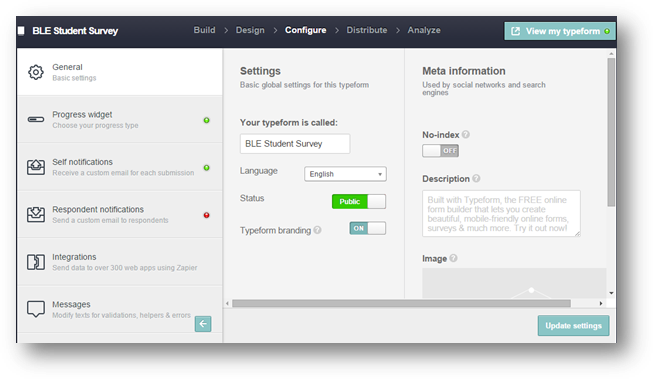 Select the Configure option to make changes to the settings of your typeform. General – change the name of the typeform, add Meta description (premium), set the form public or private and if you have premium then you can remove Typeform’s branding from your forms. Progress widget – decide if you wish to have a percentage or proportional progress bar on your form. Self notifications - decide if you wish to receive a notification for each response. Respondent notifications – add a response that should be sent to respondents (premium). Integrations - gives you the ability to integrate Typeform with hundreds of other apps such as Google Spreadsheets. Messages – amend the existing validation, help and error texts. Click the Distribute option to view the sharing options which include obtaining the direct link to your type form as well as getting the embed code that can either be displayed from your website or you could have a pop up link within the your website. Click the Analyze option to view the data from your completed typeforms. This allows you to view detailed metrics about your form, which shows how many unique visits, responses, the average time taken to complete the form as well as what platform participants used when filling out the form. Results – this displays the form data in a standard spreadsheet-style view and by default the report displays all responses. This option allows you to sort specific columns, hide columns you do not want to see, filter by a date range as well as being able to search through the data. 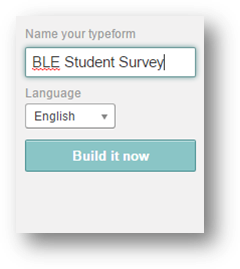 Furthermore an option to download the Typeform data in either a .csv file or Excel is available. Reports - provides a break down the responses from your forms in an easy to understand manner. There is also an option to view the report in full screen. 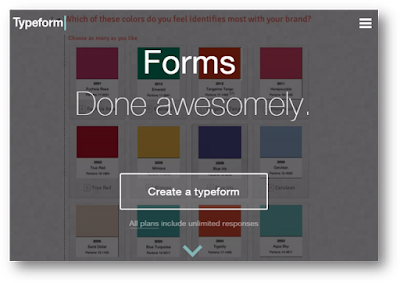 Typeform offers a simple and easy to use tool for designing eye catching online forms and surveys. 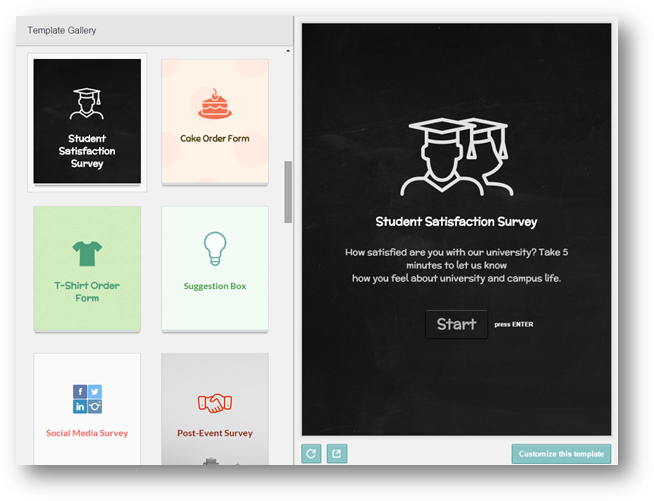 With the Typeform Core free account offering so many features and no restrictions on the number of questions you can add or responses you can collect I would recommend that you should definitely try it out!